As far as improvements between albums go, this may be the biggest leap forward of the year, but it’s not fair to compare Wovenwar to just themselves. This album is an equal to many of the best albums of the bands that influenced it. It’s hard starting over. Just ask the members of As I Lay Dying left over in the wake of their frontman’s legal situation. It would have been easy to find a new vocalist and continue as the same band; AILD were one of the biggest names in metalcore, and the fans wouldn’t hold Lambesis’ actions against them. 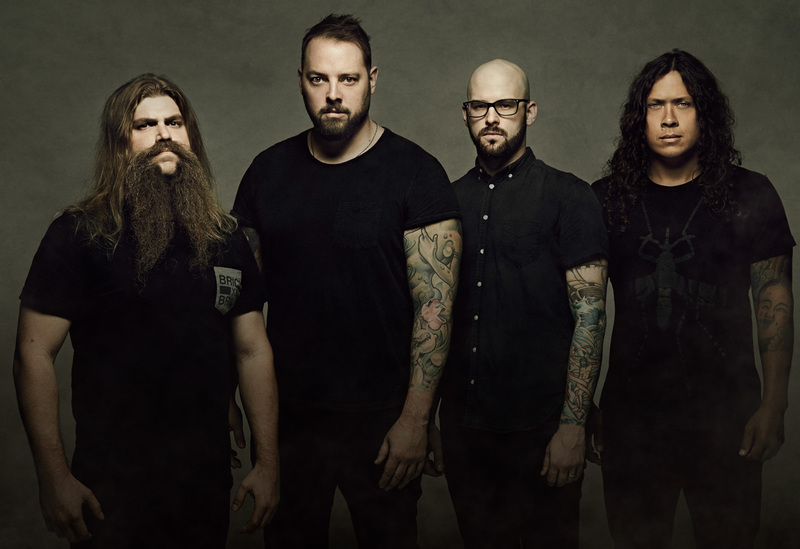 They did find a new frontman in Shane Blay (clean vocalist of Oh, Sleeper), but rather than continue as As I Lay Dying, they recreated themselves as Wovenwar. Their self-titled album found the band struggling to create their own identity; while the band played impressive riffs, and wrote good songs, it felt stale somehow, as if the band were afraid to either be too much or too little like their old group. Now, Wovenwar is back with their second full-length, Honor Is Dead, and they’ve finally started figuring out who and what they are, which luckily for us is a badass hard rock band. “Confession” rings out with a clap-and-stomp beat and gang vocals before revving up into a pulsing riff and a throaty snarl from Blay. His vocals on the first Wovenwar album were entirely clean, but he tears of out the gate with his newfound scream and it immediately makes a huge difference. It’s not all that heavy (it’s more in line with recent Of Mice And Men than As I Lay Dying), but just the additional aggression gives Wovenwar a spark they lacked before. In contrast, the riff is heavy, but it’s a distinctly more radio-friendly sound, and together with the more intense vocals, it’s already clear Wovenwar have figured out which combination works for them. They stick to that same design on lead single “Censorship,” with a bouncy chugging riff and an excellent martial drum intro and double-kick run. The vocals are aimed at getting fists in the air: this is an arena-rock song through-and-through, and the melody is contagious. The title track is one of the more creative songs here, trading back and forth between a slinky bassline-and-vocal combo and raging hard rock riff. The slithering verses from Blay remind me of Finger Eleven at their darkest, and the melodramatic chorus, while cheesy as all hell, is still the best Avenged Sevenfold stanza in years. It aims big and lands a little short, but it’s a very fun attempt, and refuses to go where you expect it to. “Lines In The Sand” is a straight forward rock song out of the Killswitch Engage playbook, but once again Shane Blay delivers an amazing performance. It’s not just the addition of screams, his cleans on this album are a huge improvement up too, and the chorus of “Lines In The Sand” is proof that his songwriting has progressed as much as his range. The melody is almost too perfect (wait for the guitars to drop out and the vocal harmony to stand alone near the end of the song), and the only bad thing that can be said about this track is it seems a little too tailor-made for active rock radio. “World On Fire” has some tasty guitar bursts and another good performance from Blay, and even indulges in a pretty nasty breakdown near the end, but this is the rare song on Honor Is Dead where the pieces don’t quite gel. “Compass” is a bit of a breather, drifting along on airy guitars and gritty but emotional vocals, slowly building a structure of thudding drums and flickering electronic beats during the chorus. It sounds kind of like the cousin of Thrice’s water-themed Alchemy Index tunes, and that’s high praise coming from me. “Stones Thrown” has two of the best riffs of the album back to back. It starts unpretentious and meaty, a straight-up radio rock mosh starter, but shifts into a swirling djent riff on the verse, where Blay absolutely cuts loose. He reels himself back in for an even grander chorus that should make this song a live staple. There’s even a hyper-distorted guitar solo complete with a Tom Morello-inspired finale as icing on the cake. “Cascade” wastes no time, jumping into the opening verse immediately with a ferocious scream and pummeling riff. The chorus switches abruptly to twinkling guitars and dramatic clean vocals (Dredg fans might actually dig this chorus), but the two halves don’t come together very well, and almost feel like they’d have been better as part of separate songs. “Silhouette” relies on a prominent bassline and guitars that echo and chime like the score to an 80s-horror flick. Blay extends his already excellent range with some gorgeous falsetto work and a little vocal quiver at the end of some lines that cannot be described with any other word than sexual. “Bloodletter” starts off with a riff that could be part of a Disturbed song, but Shane’s occasional screams punctuate sharply and makes the song their own. The chorus doesn’t quite have the same quality hook as the verse, but it’s not awful, just average. They save the best for last with closer “130,” a punk-metal burst akin to All That Remains, and the biggest, baddest chorus of the album. The riff is fun, technical enough to be impressive, and grooves, and the vocal hook is the perfect counterpart. The finale, which takes the band to heavier territory than they’ve ever dared, brings the album to a perfect close. This song is hands down the best on the album. I cannot stress enough how good this record is. The guitars are a little less technical than the previous album, but the hooks are stronger, the songwriting is stronger, and the vocals are out of this world. As far as improvements between albums go, this may be the biggest leap forward of the year, but it’s not fair to compare Wovenwar to just themselves. This album is an equal to many of the best albums of the bands that influenced it. 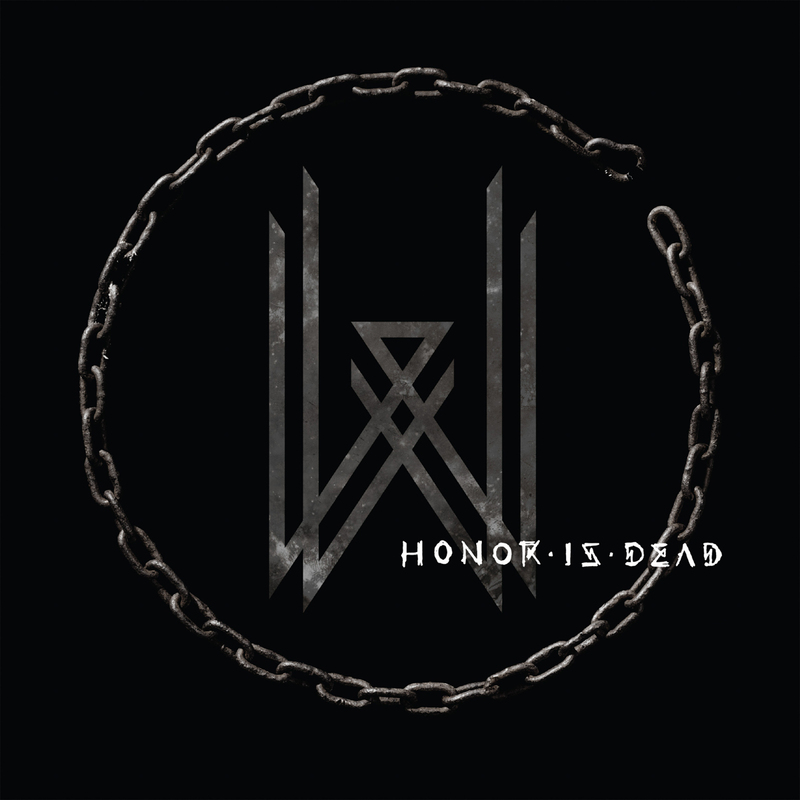 Even if you weren’t a big fan of the self-titled record, it’s worth giving Honor Is Dead a try.